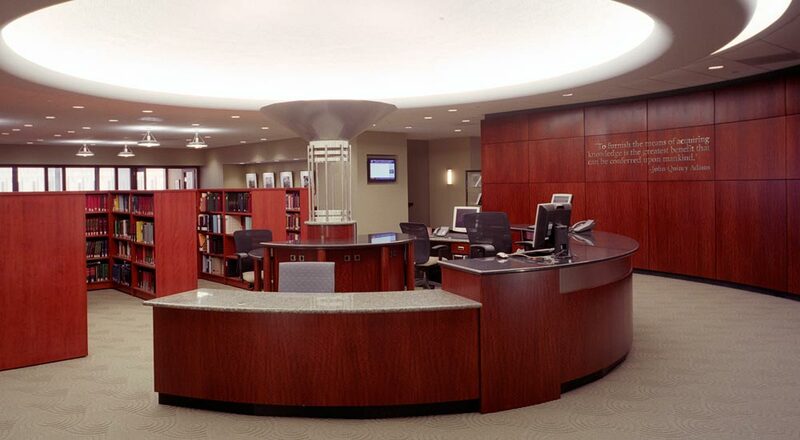 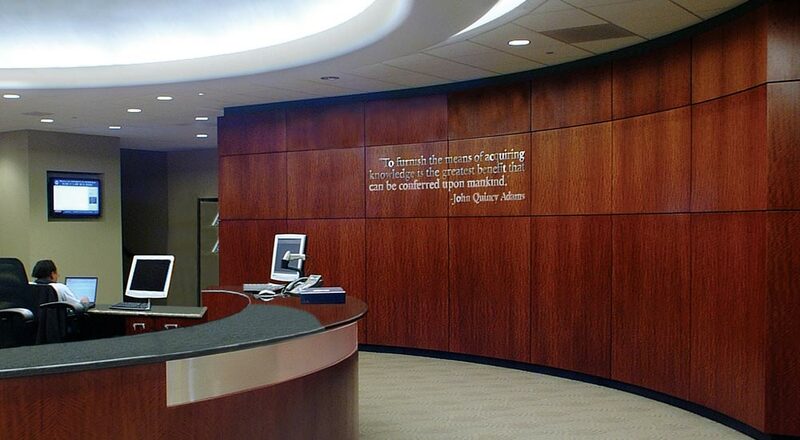 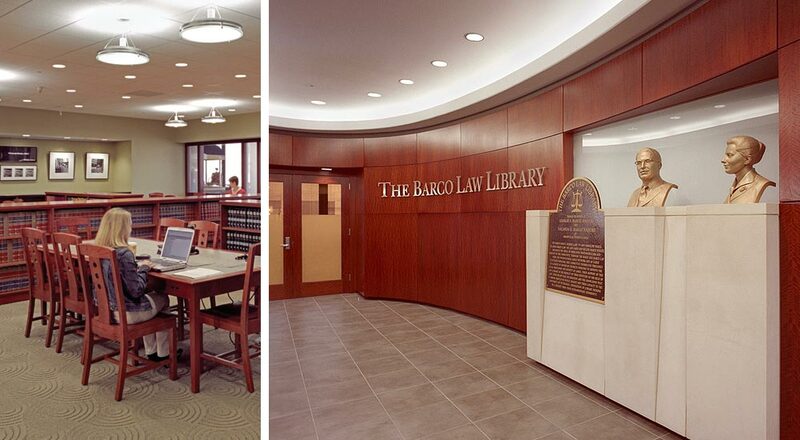 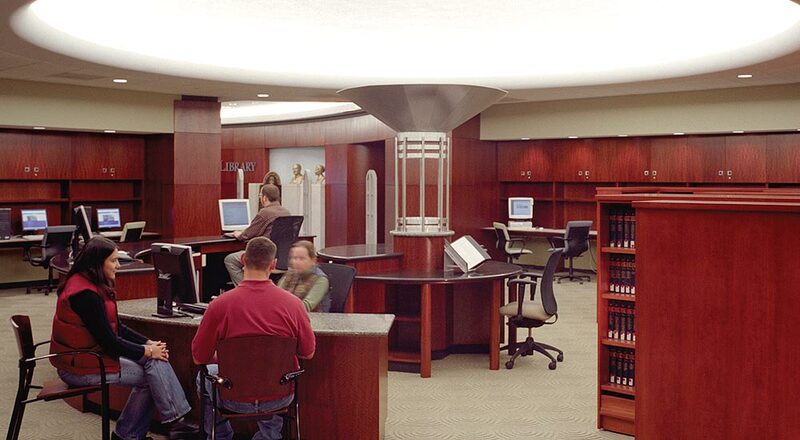 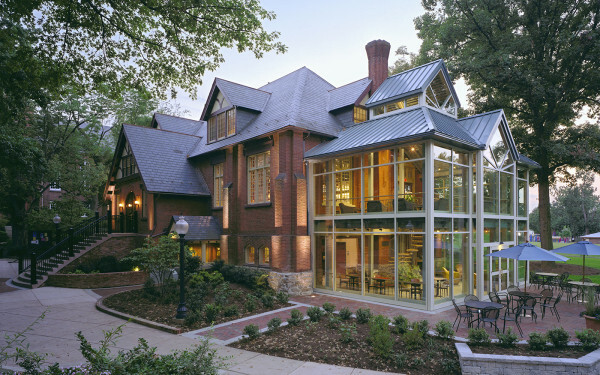 The renovation of this 1970s-era library commemorates a major benefactor of the Law School, the Barco family. 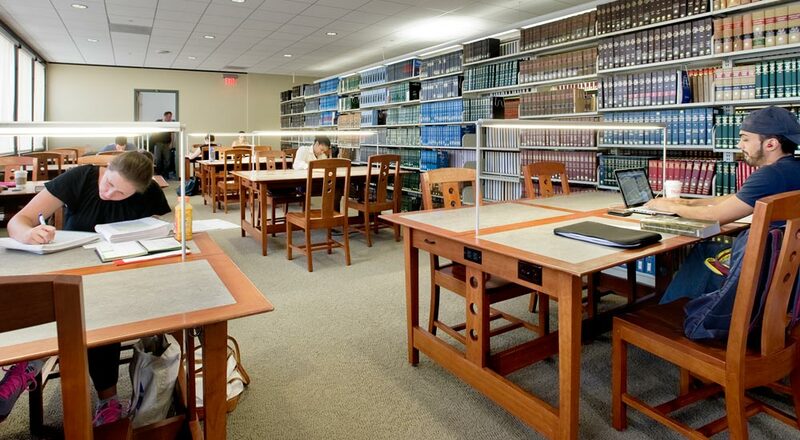 Strada worked intimately with all the stakeholders: the Law School Dean, the major donor and the facilities department to transform a dreary and dated space into a comfortable and welcoming meeting and research center for the law school community. 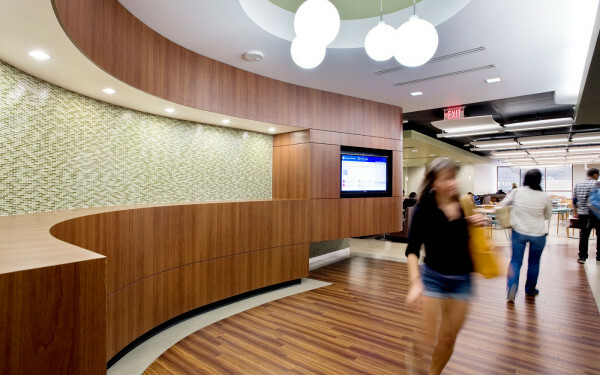 The entrance lobby has been re-shaped with rich wood panels, and the circulation desk is now positioned as a hub for the main space. 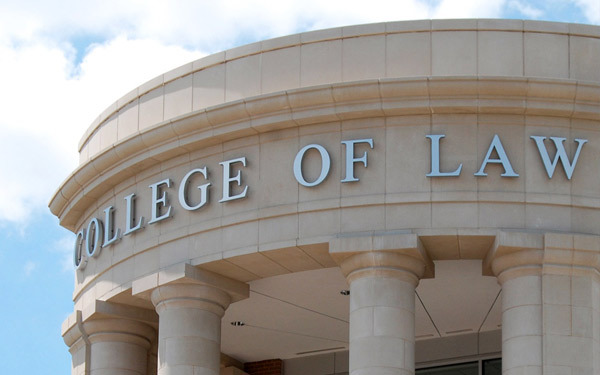 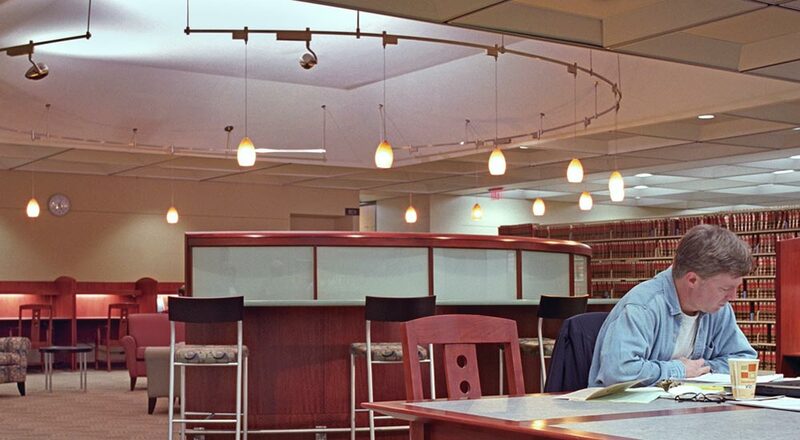 The inclusion of new study rooms, work tables, soft seating areas, and a cyber bar have created a refreshing new place for the law school community to socialize, study, and collaborate. 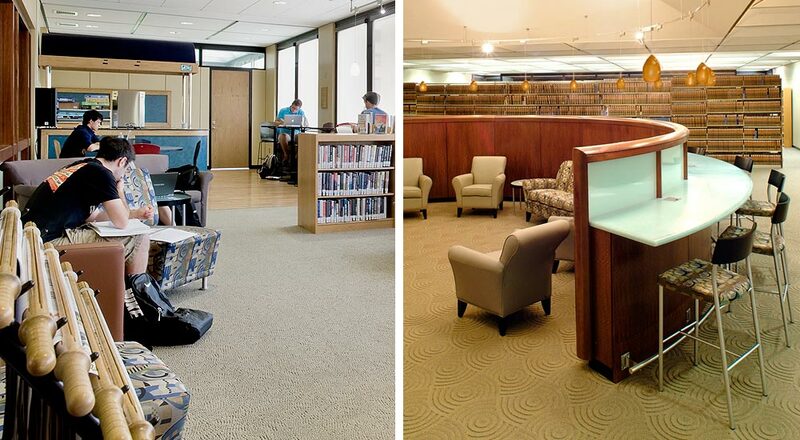 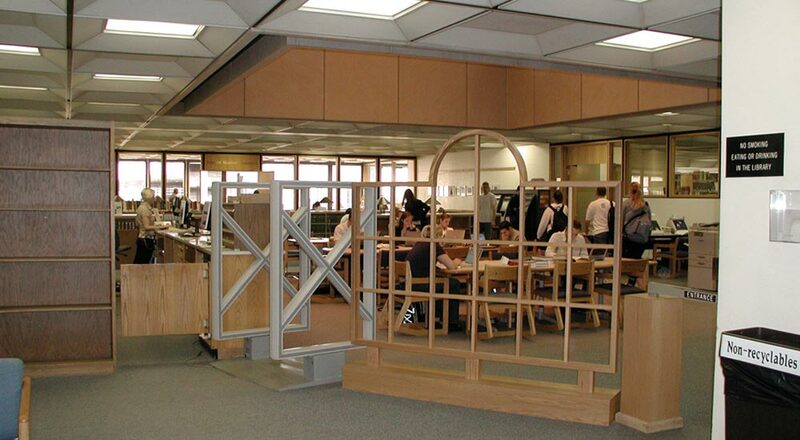 The new Barco Library provides a welcome study retreat encompassing a wide range of learning environments.